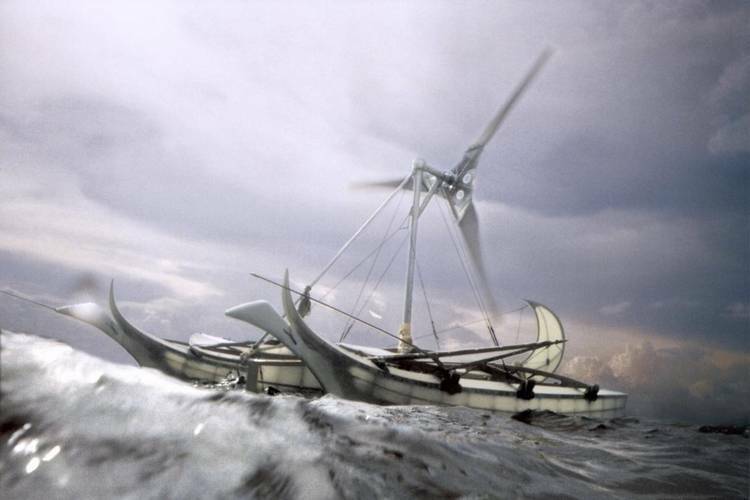 Since 2004: Building and developing of the original Windvinder – an autonomous lightweight skin-on-frame trimaran with a seaworthy and stormproof windmill drive; since 2008 underway on the Pacific Ocean, steered by wind alone and driven by headwind. 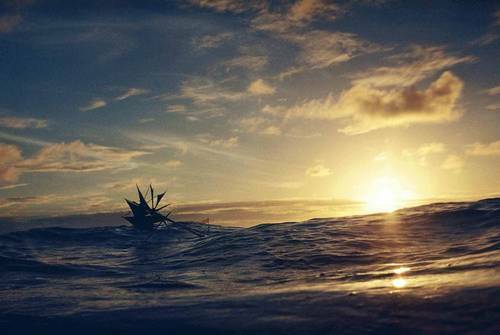 The ship sails only one course: straight into the wind. Fishermen repair and improve the unmanned vessel – and start building own Windfinders: They love the challenge. Again and again the Winged Canoe is spotted – each time in a changed form. And more and more often, coming closer, it turns out to be a new one…! 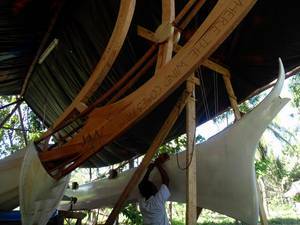 The most incredible vessels appear - fantastic bamboo constructions built on islands and even on fishing boats, with sails from fish skin instead of epoxy airfoils… some bigger, some smaller, but all on the way to where the wind comes from, steered and driven by wind alone. In years at sea the original ship has developed to a global expedition of a growing fleet of little Windfinders - research vessels who invite to research: “Find out how this works, and make it better and bigger!” The swarm lives and grows. The single vessels are small, and they have to be small - to bring a great challenge down to a human scale: Their job is, literally, to bring people on board. 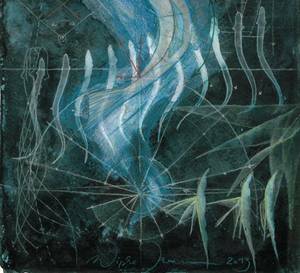 The newer generations of Windfinders need no more wind turbines or ship’s propellers – but they do sail straight into the wind; just wings and fins, grazing on an ocean of ideas. They live on headwind: on the doubts of all those people ashore, who do their best to keep thinking that this cannot be. If this was possible – then why aren’t we doing it? WHY AREN’T WE DOING IT ?? - come with us and meet them in person! We sail from the North Sea to where the growing fleet of Windfinders is underway, meet the islanders, make a film of what is developing there – and go on building… On board: windship people from the other end of the scale. Artists, future naval architects and wind engineers from “western” industrial nations work together with Pacific islanders to develop the next generation of border-crossing expedition vessels. Turning headwind into a brainstorm for the ships of the future… experiments that generate more than technical solutions.